Take a wide bottomed bowl. 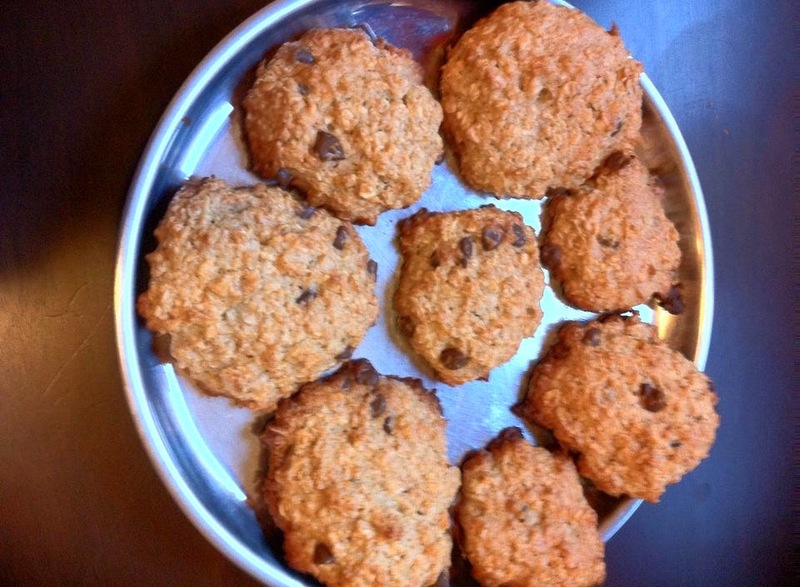 Mix cooked quinoa, coconut, oats, flour, sugar, baking soda, baking powder, chocolate chips and mix everything well. Keep it aside. Take the ripe banana, chop it into small pieces. Put it in the mixie jar along with peanut butter and grind it into a smooth paste. Add the grounded banana paste to the dry mix along with vanilla extract and mix it well. Grease the baking sheet. Drop the cookie batter by spoonful on the sheet. Bake upto 20 - 25 minutes until browned around the edges. Let it cool for sometime and enjoy. Cookie came out pretty good and luckily my girls liked it so much. 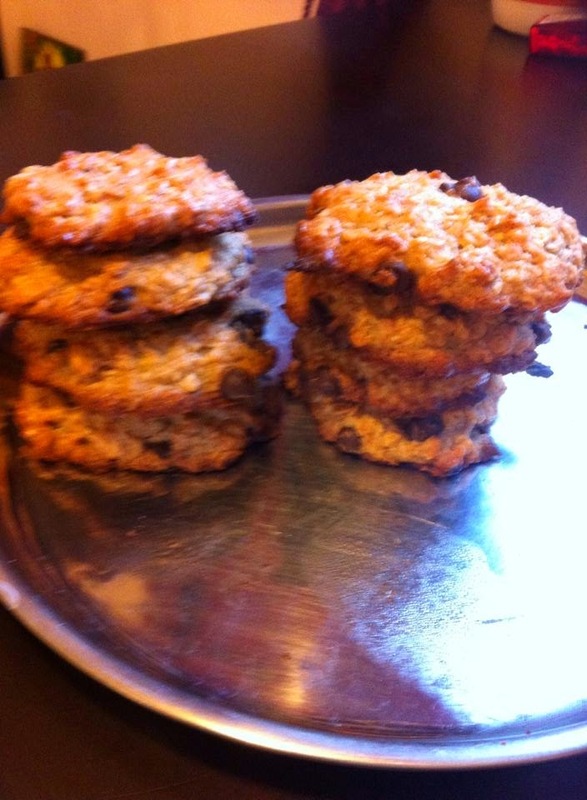 I am sending this cookie recipe to Healthy Diet Event-cooking with whole grains ; an event by Priya Suresh hosted by Nupur. Also to Kids Delight Event ; an event by Srivalli hosted by Gayathri Kumar. Healthy and tasty cookies......inviting recipe! Scrumptious cookies, my kind of crunchy munchies definitely.